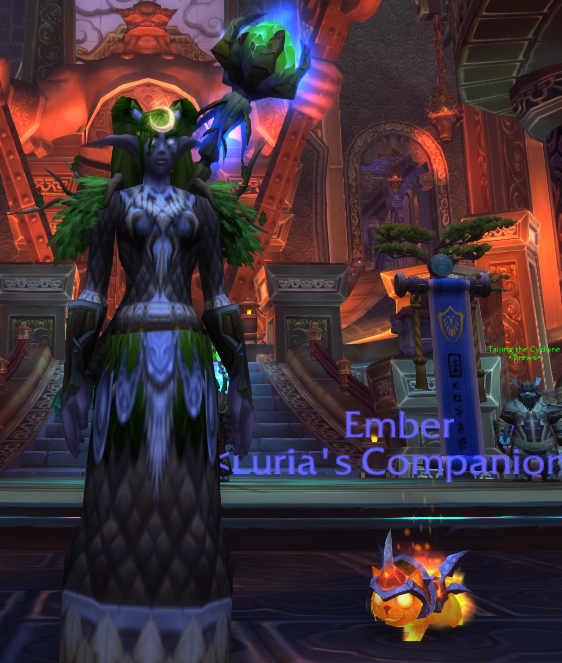 World of Warcraft's DPS to Heal Playstyle was extended to Druids, no one told me! My wife just brought it to my attention that the Druid talent, [Dream of Cenarius] that allows 100% of the druid's Wrath damage to heal a nearby target. It's no [Atonement], and by that I mean it doesn't have the versatility that my discipline priest enjoys with Pennance, Holy Fire, and Smite and the related glyph mechanics and talents that exist within. That said, it's certainly a step in the right direction. We've used this as the primary method of healing in Heroic Dungeons, and lets all admit for a second that Pandaria Heroics are more or less a solid JOKE. But the playstyle also works in Raid Finder, assuming HoTs are applied to the main tank in between blasts. In general the automatic targeting of low-health targets seems to be really beneficial in raids, saving people whom are less likely to otherwise be saved while also contributing a minor amount of DPS to the raid. I'm not saying a good raid should even need this mechanic, but for Raid Finder it seems to work just fine and it's mildly entertaining to be blasting the hell out of a boss knowing that the damage you are doing is healing a nearby target while your HoTs keep the tank otherwise healed.